The mission of Montgomery Preservation is to preserve, protect, and promote Montgomery County’s rich architectural heritage and historic landscapes in Maryland. 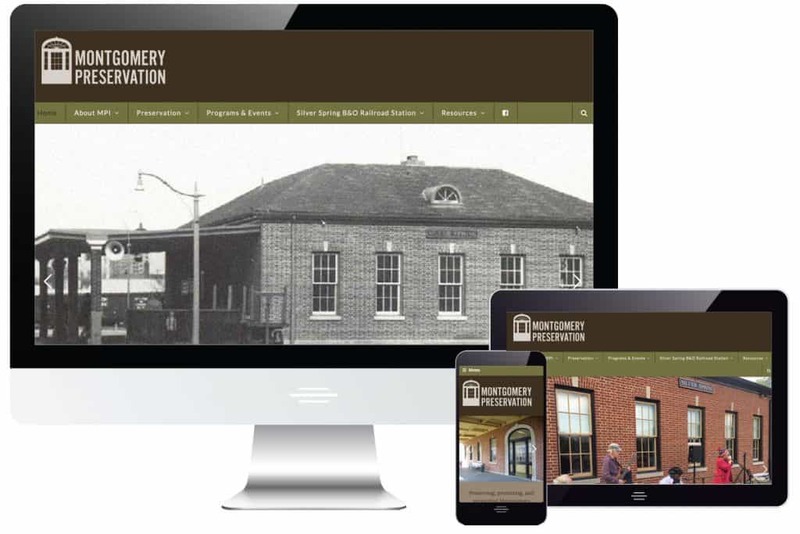 They came to us with a website that was built before the days of responsive design in a platform that no longer existed. Taking the time to sort the information from their current site, we created a new sitemap that would become the bones of the fresh new website. 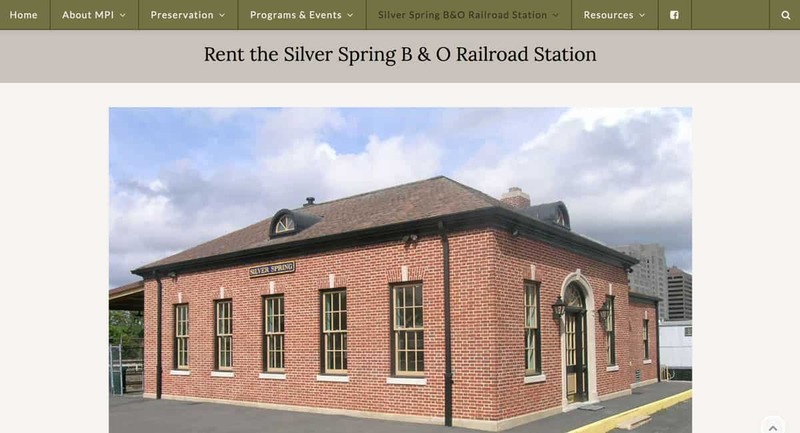 Because their pride and joy, the Silver Spring B&O Railroad Station was both their headquarters AND a source of community activities, we worked to make sure it was noticed front and center. Donations, of course, are required to keep it all going so we integrated an easy way to make donations online. There were a few instances where applications were necessary, so we built online forms to easily fill out online and submit to the proper channels. 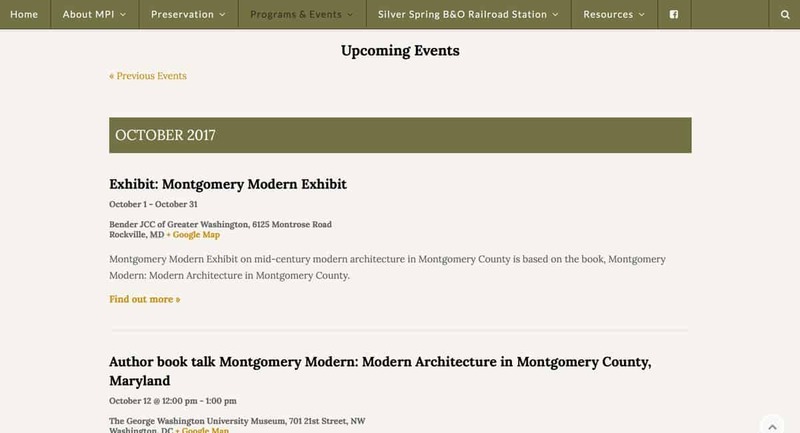 Directories, links, preservation faqs, etc. 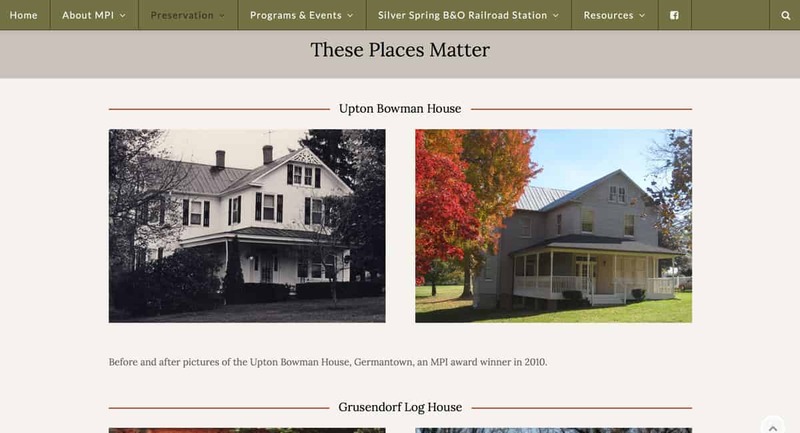 were made easily accessible and now their site is met with enthusiasm from historical preservation enthusiasts who find it as a wonderful source of information.